​The John Lind House, located at the corner of Center and State Streets in New Ulm, was erected in 1887 at a cost of $5,000. The two lots on which the house was built were originally owned by the German land Association and were sold in 1858 to Friederich Weiss for $30. Alice Lind, wife of John Lind, purchased the lots in 1885 for $150. 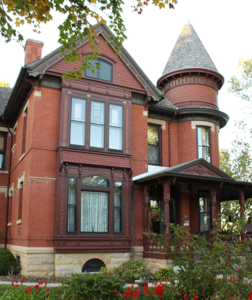 The graceful Queen Anne house with its wrap-around porch and imposing turret was designed by Frank B Thayer, Mankato, Minnesota. During the Linds’ residency the house was the center of many social, cultural and state functions. The Linds occupied the home during his terms as U.S. Congressman and Governor of the State of Minnesota. 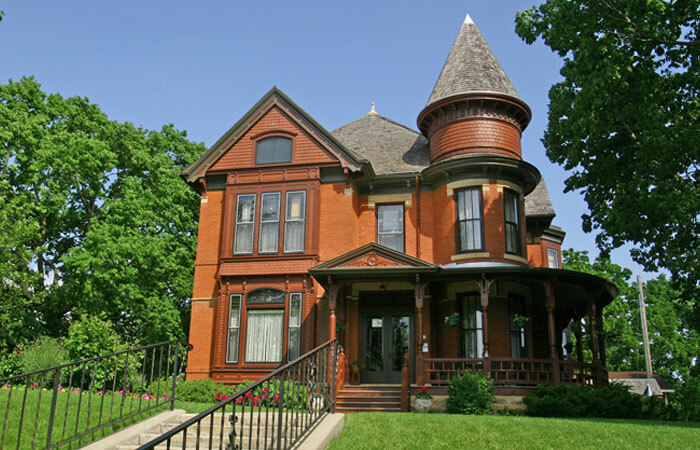 In 1901 the Linds moved to their Minneapolis home on Colfax Avenue. The home in New Ulm was sold to Peter Giefer, a farmer, for $7,000 in 1902. 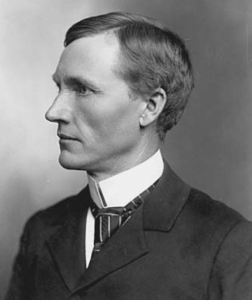 In 1908, Dr. George Reineke, a local medical doctor who specialized in eye, ear, nose and throat, purchased the house. In 1910, the Reineke’s remodeled the first floor area. In 1927, Dr. Reineke converted the house into two apartments. It was at this time the original staircase, built-in buffet, walls and sliding doors were removed. The fireplace in the dining room was covered with plaster. The two apartments were considered exclusive rentals during this era. The Reineke family had built and moved int a house on the second lot before this second remodeling. The John Lind House was placed on the National Register of Historic Homes in 1974 for its architectural and political significance. 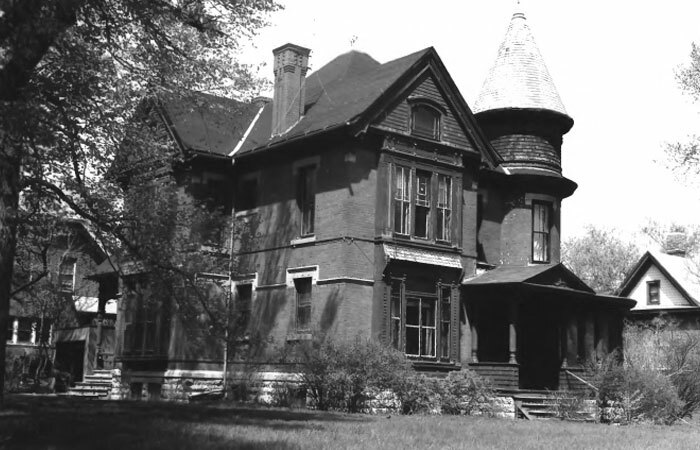 In 1981, the house was left unoccupied and in disrepair. The Lind House Association purchased the house in 1985. The restoration began after architects Cavin and Rova of St. Paul assured the Association that the house was structurally sound and warranted preservation. During the restoration, the front porch and exterior were reproduced to their original design. The interior renovation was done in such a way as to create a functional house, utilizing what was left unaltered during remodeling, by reproducing some of the original features and by decorating in an aesthetically pleasing decor. 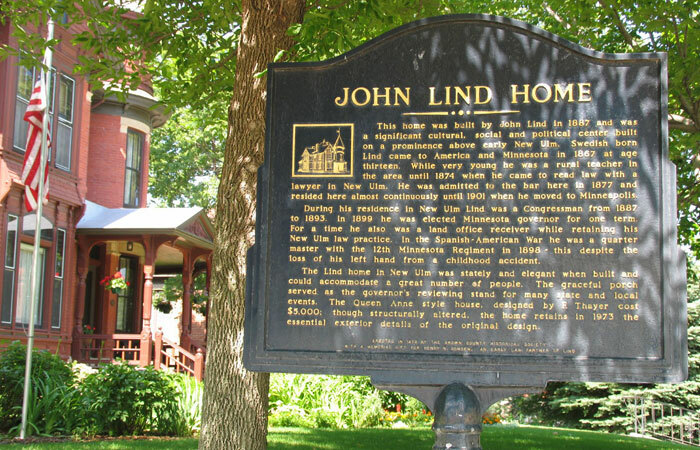 Today, the John Lind House is an exceptional landmark the people of New Ulm can be proud of in this city of charm and tradition.